Posted 5 June 2013 by Julianne Parrish & filed under Articles, Design. Logos are a fundamental part of the branding process. Many entrepreneurs spend weeks agonising over their logo design. It’s understandable why: your logo is one of the most important components of your brand and visual identity. It can be one of the most difficult elements in branding to get right. This is especially true in the online age, as there are a few more things to consider when creating the perfect logo for your business. Here are ten design tips that will help you get started with developing your logo to make the most of both online and print opportunities. Your logo is likely the first thing that potential customers will notice about your brand. You want to make sure it is well designed and memorable. It’s a worthwhile investment to hire a professional designer to help craft this aspect of your brand. Decide on your budget before reaching out to designers. If you have limited resources, consider working with on a designer on a freelance website such as Elance or Guru, or using one of the many crowd-sourcing sites on the market. Compatibility across a range of formats is key for your logo. When designing a logo for your business, it’s important to make sure that it looks right in print, on traditional websites, and across a broad range of mobile devices. Ensuring that your logo renders well on multiple screens is one of the most challenging aspects of designing a logo, but it’s also important to think about. You want your logo to convey the essence of your brand, so it’s important to keep your messaging in mind when you are developing a logo for your Business. Be sure to effectively communicate your message with your designer so that they understand your needs. Use the three second test. When someone unfamiliar with your brand sees your logo, what terms come to mind? That’s one of the easiest ways to quickly figure out if you’ve been effective in conveying the right message with your logo. Trendy logos come and go, but classic logos withstand the test of time. Not to mention the fact that a timeless logo will make your business stand out from others. It’s always a good idea to opt for distinctive rather than popular trends. 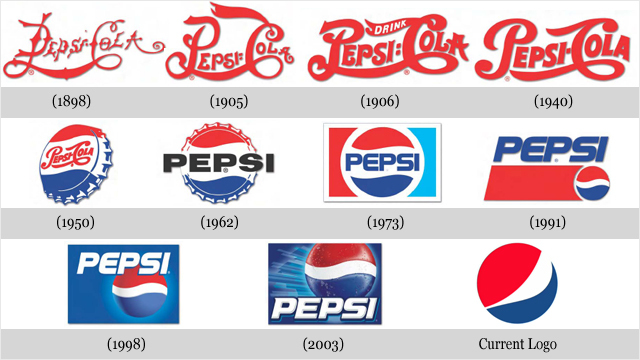 One way to think about your logos timeline is the following: if your company is still in business in ten, twenty, fifty or even one hundred years from now, will your visual identity do a good job representing your brand? If the answer is no, it’s time to rethink your logo approach. Often, business owners make the mistake of creating logos that are simply too busy. Too many design elements will overload potential customers and just make your logo seem messy. Keep it simple by sticking to a design that’s bold without being too over the top. Avoid looks that use too many colours, different fonts, or are overly complex. Your logo will appear on a variety of print documents and websites. If your logo is designed in color, make sure it also looks good in black and white and grayscale. Chances are it will appear somewhere in black and white, so you want to make sure it still conveys your businesses’ message properly. Ensure it looks good in both print and on the digital screen. Some of the most creative and distinctive logos focus on the negative space in their design. Take the Fed-Ex logo for example. The company and designer of their logo got creative with the negative space, adding a unique feature to the logo. There’s an arrow in between the ‘E’ and the ‘X’, which adds a distinctive design element that works perfectly with the brand. Sometimes your logo is about what’s not there – rather than what is. If you’re just starting up your business, you may want to create a logo that incorporates your company name rather than just using a picture to signify your brand. Potential customers are more likely to remember the name of your brand over time if they see it in your logo. Symmetry is best left to the professionals, but it is an important consideration. You want to ensure that your logo is symmetrical; that font spacing is consistent; angles are curved appropriately; and things line up properly. The best companies evolve over time to meet the ever-changing needs of their customers. Sometimes logos need to be modified as well in order to freshen things up. If your business has evolved and your logo is feeling stale, it may be time for a change. Your logo is an important part of your company’s brand. A well designed logo may be the difference between whether potential customers remember you, or simply forget your brand and opt to purchase from a competitor. Consider these ten tips when designing your logo for the online age. Julianne is a freelance writer who specialises in marketing and advertising. She writes for sites like Optiva Signs, that help companies drum up new business with LED Signage. In her free time she enjoys reading and spending time with her daughter.